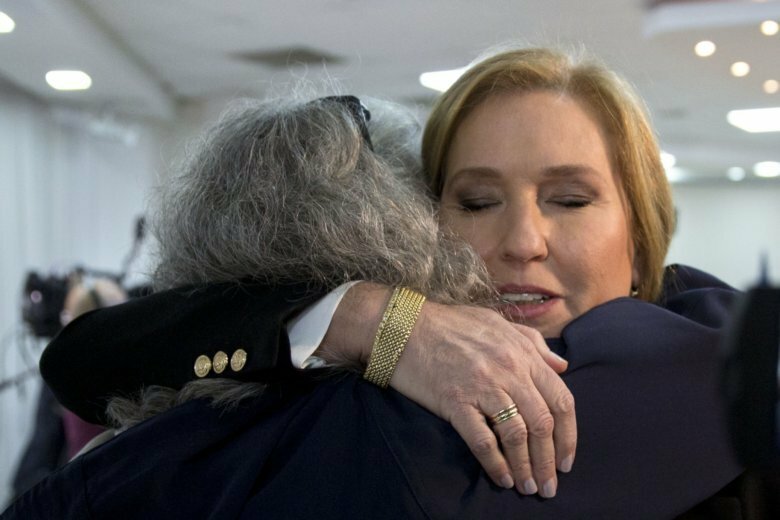 JERUSALEM (AP) — Former Israeli Foreign Minister Tzipi Livni on Monday announced her retirement from politics, ending a 20-year career of a politician who was once a rising star, contender for prime minister and celebrity in international diplomatic circles. Livni, whose political star has faded in recent years, told a news conference in Tel Aviv that while she will leave the political scene, she believes her vision of peace with the Palestinians will one day be realized. “I am leaving politics, but I will not allow the hope of peace to leave the state of Israel. I have no doubt that our way will return and win,” she said. Livni, 60, is the daughter of one of the founding members of the governing Likud Party, now led by Prime Minister Benjamin Netanyahu, and began her political career as a Likud lawmaker. But like many other former hard-liners, she moved to the left to confront what many believe to be a demographic time bomb caused by the continued occupation of millions of Palestinians. She became a fervent believer that the only way to guarantee Israel’s future as a Jewish and democratic state is to establish an independent Palestinian state alongside it. Livni joined the centrist Kadima Party in 2005. She held a number of senior Cabinet posts over the years, and served as Israel’s foreign minister and chief peace negotiator under Prime Minister Ehud Olmert from 2006-2009. Livni forged a strong relationship with her American counterpart, Secretary of State Condoleezza Rice, as well as the Palestinians. The sides claimed to have made great progress. Her legacy was tarnished by her role in an Israeli military offensive in the Gaza Strip in 2008 and 2009 that killed hundreds of civilians. Nonetheless, she remained popular internationally, and appeared on lists of the world’s most influential women compiled by publications like Time and Newsweek. Livni’s career began to crumble after Olmert was forced to resign because of a corruption scandal. Livni turned down a chance to become prime minister and instead called new elections in 2009. Although her Kadima won the most parliamentary seats, she was unable to put together a majority coalition. Instead, Netanyahu formed the government, and he has governed ever since. After serving as opposition leader, Livni briefly left politics, and Kadima ultimately folded. She returned as the head of a new party called “The Movement,” and even joined Netanyahu’s Cabinet, but she was never able to recapture her magic. In the current, outgoing parliament, she joined the centrist Labor Party — an alliance that disintegrated when Labor’s chairman, Avi Gabbay, fired her on live TV. Recent polls had indicated that Livni’s tiny party would not receive enough support to enter parliament following April elections, and none of the larger parties showed any interest in bringing her aboard. While Livni’s downfall was due in part to her aloof personality and clashes with other political figures, it also reflected the lack of interest in the Palestinian issue among Israeli voters. Netanyahu has largely ignored the Palestinians during his decade in power, focusing instead on countering Iran’s influence across the region. Centrist and dovish parties, while paying lip service to the Palestinian issue, have focused more on domestic concerns like the cost of living. In her announcement Tuesday, Livni lamented that peace with the Palestinians has become a “dirty word.” She also criticized Netanyahu’s nationalist government for what she called its attacks on the country’s democratic institutions, including the media and the legal system. “There is no doubt she will be missed in the next Knesset. I am sure we will hear more from her,” Zandberg said.